Great legends dwell within the Warcraft universe. 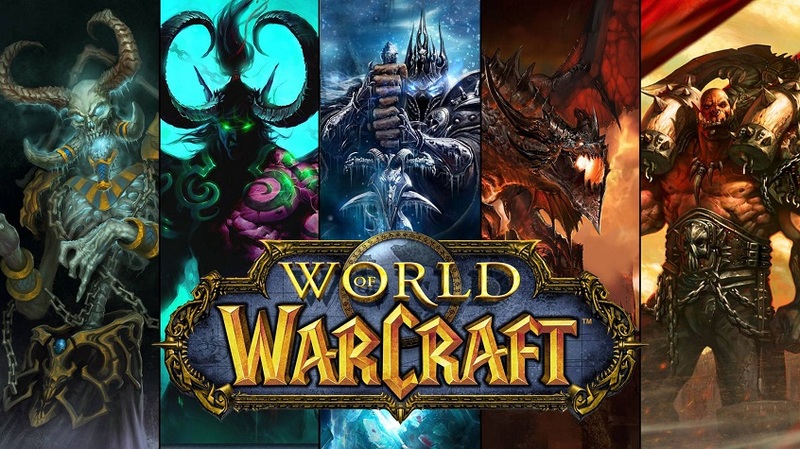 With the upcoming Blizard World update to Overwatch, it seems fitting to glance back at some of World of Warcraft‘s truly great heroes. Azeroth is a vast sphere that gets invaded by large threats, with only the solemn brave there to guard her. Even though there may be disputes between the factions of the Horde and Alliance, all strive to survive on this world. These heroes of Warcraft are defined by their passion, ambition and benevolence of their ultimate goal. Even if teetering on the edge of corruption, the deeds of good will do not go overlooked by those who want Azeroth safe. Heroic qualities vary, and it’s hard to truly decipher what it means to be a hero. Whether it is strong determination, impenetrable will, or just the dumbfounded, the common-folk would not dare exemplify the traits of a true legend. Here, a compilation of the top ten Heroes of Warcraft await the curious and the listless examiner. 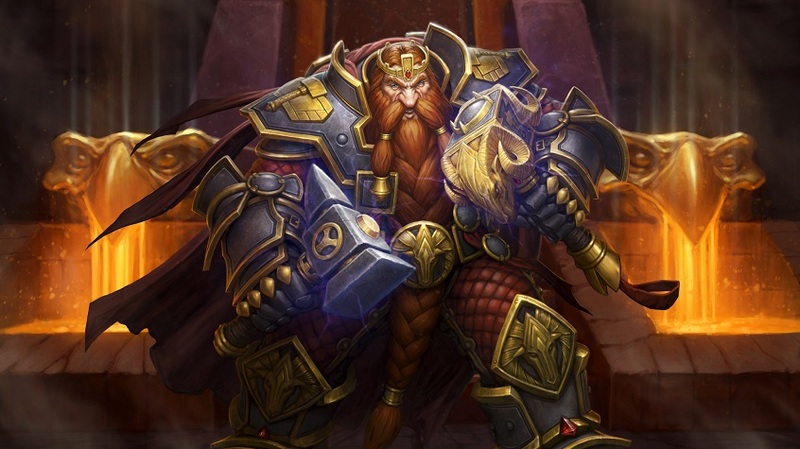 Few were as beloved as the King of Ironforge, citizens gawked at the Dwarven ruler Magni Bronzebeard. Offering refuge to the Gnomes after the invasion of Gnomeregan with open arms, Magni accepted the gnomes as his own. He helped Varian rise to his throne and tutored his son, Anduin. His biggest accomplishment was the creation of the Ashbringer, the heart of the Argent Crusade. A blade that which pierced the Lich King and brought an end to the threat on Northrend. Sensing the elemental disturbance of the land, Magni sought to become one with the earth. Though not knowing, he feared the sight of a cataclysm upon his people and world. The ritual of becoming one with the earth was a success. Unfortunately, this encased the beloved king in diamond. The heart of all Dwarves sank that day with the real tragedy of none knowing whether he was dead or alive. 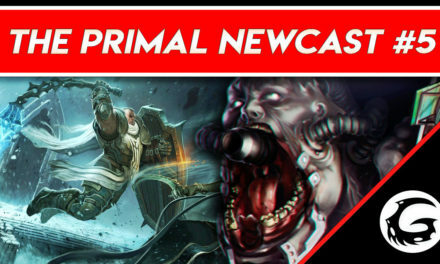 One thing remains, the image of Bronzebeard sacrificing himself for the good of all. 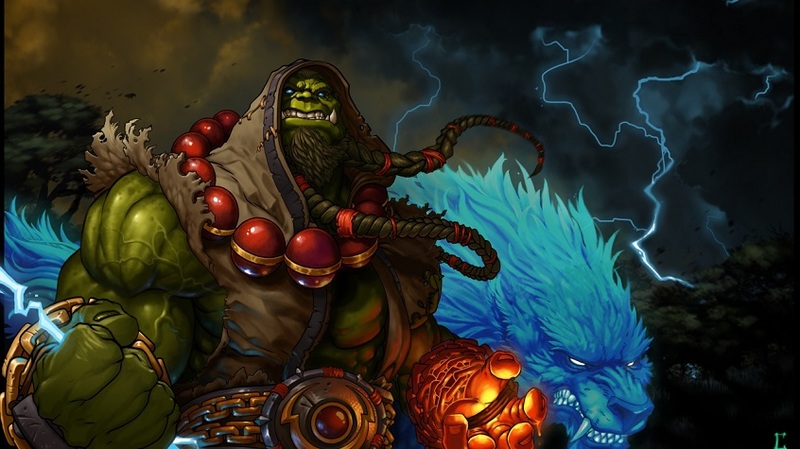 Perhaps the most antagonistic hero on this list is the Chieftain of the Amani Trolls, Zul’Jin. Though seen as an enemy to the Horde and Alliance, this forest troll only wanted to redeem his tribe to the glory that was stripped away from them after the first war. Putting his faith within the leader of the Old Horde, Orgrim Doomhammer, the fate of the Amani became sealed. The armies fractured, and the Horde collapsed at the end of the Second War. Zul’ Jin was captured by High Elves and tortured brutally, losing an eye in the process. As a means to escape he sacrificed his arm. Taking on the dark arts, the recent news of his former enemies becoming one with the Horde sent this champion over the edge. After declaring war on both the Horde and Alliance, Zul’Jin was slain. Though an adversary in most eyes, everything he did was to preserve the greatness of his people. Cairne Bloodhoof had one thought in mind: to find a peaceful landscape for his fellow taurens to call home. This driving motivation led him to the path of Thrall, who offered to form a strong Horde and break away to Kalimdor. After gaining trust, Cairne became a staunch supporter of the Horde and its beliefs. 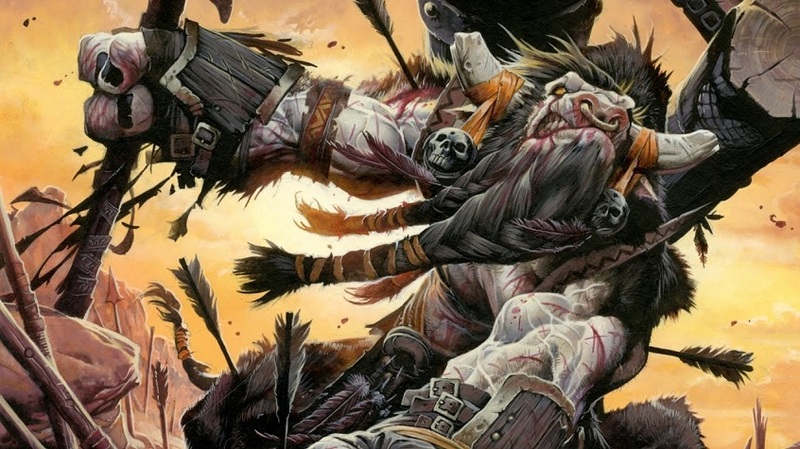 Mulgore was inhabited by the Tauren people, painting a better picture of his true drive. Outliers were present in his perfect image, and they went by the clan name of Grimtotem. Magatha Grimtotem felt she should be leading the tauren, deeming Cairne unworthy of the title. These tensions accelerated when Cairne falsely accused the new warchief of the Horde, Garrosh Hellscream, of murdering innocents, and challenged him to a duel to the death. Cairne wanted to uphold the traditions and honor of the Horde, standing up to the tyrant that is Garrosh. However, Magatha coated Garrosh’s axe with poison, instantly striking down the most prominent Tauren figure and leaving witnesses in utter silence. 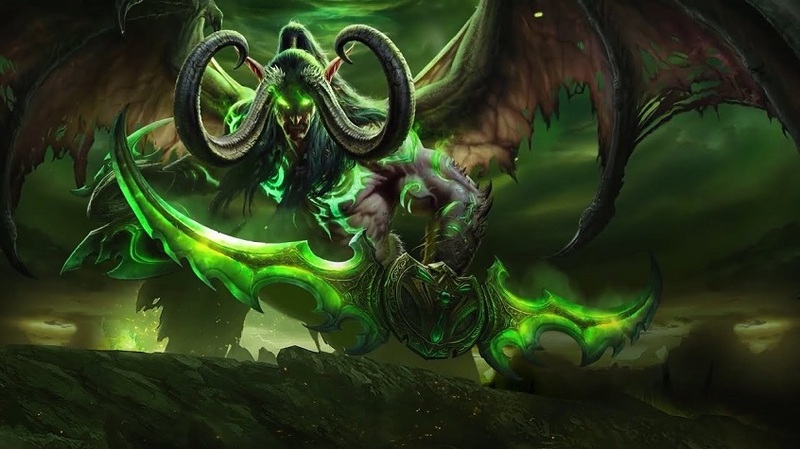 Though not necessarily a shining jewel upon the many heroes of the Warcraft Universe, dawning the title of “The Betrayer” is Illidan Stormrage. Illidan has made a lot of mistakes in his life that led to darker paths. He is worthy of his name, betraying both the good and evil aspects of the world, creating a strong anti-hero. Though not always seeing the path of light, redemption runs deep in his actions. His exile was the result of a misunderstanding of loyalty to his brother, Malfurion Stormrage, for he always intended to keep the Night Elves a strong and prosperous race. Continuing his path of betrayal, Illidan now looks after himself, though he will come to be a hero when Azeroth needs protection from a world-shattering threat. 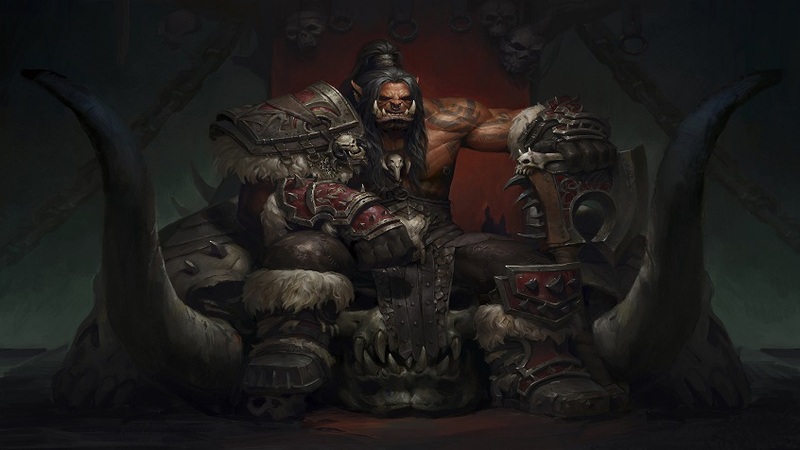 Grom Hellscream was the first orc to drain the birth colors of his skin and drink the blood of Mannoroth, becoming green and unknowingly pledging himself and all other orcs to the Burning Legion. However, after the first war concluded and the Dark Portal was destroyed, sorrow befell Grom when he realized the error of his ways. Wielding the fearsome weapon, Gorehowl, Grom made his mark to avenge his fellow orc brethren. 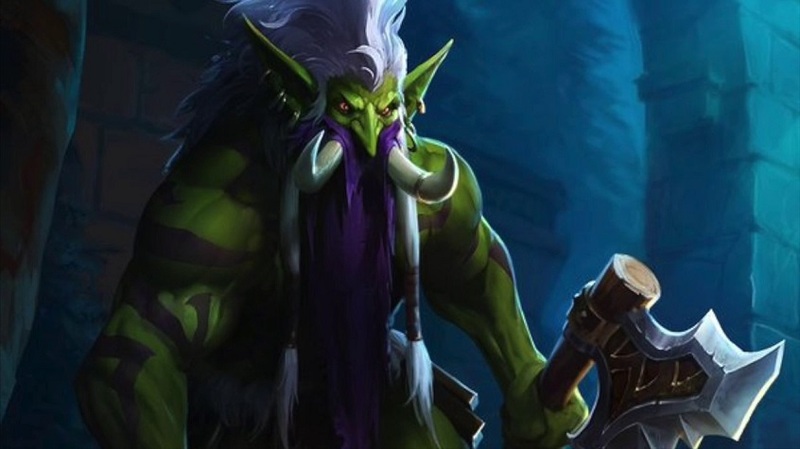 This was easier said than accomplished, for Grom had a powerlust that surged within his veins and once again drank the blood of Mannoroth to kill the demigod Cenarius. This addiction to power had to stop. Grom decided to strike out after Mannoroth himself. Aided by the Warchief Thrall, Grom led the charge to Mannoroth and gave his life to slay the foul pit lord of the Burning Legion. This broke the grasp of control over the orcs permanently and painted Grom as a legend to that of the orcs. A pristine ranger-general of the race of High Elves, her fate ever-changed with the meeting of Arthas Menethil. 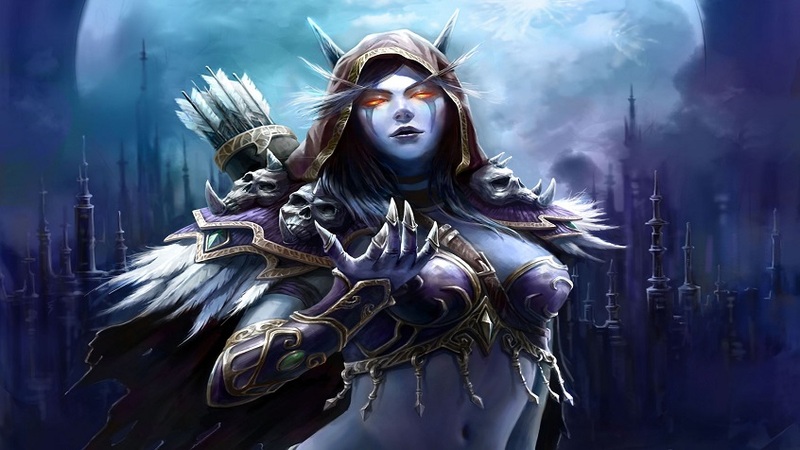 Instead of this new Lich King giving Sylvanas a swift death, he transformed her soul into that of a banshee to serve the Scourge. However, this strong-willed ranger soon gained back her free will and body, abolishing the Lich King’s hold on some of the damned. These newly found followers became the first of the Forsaken. 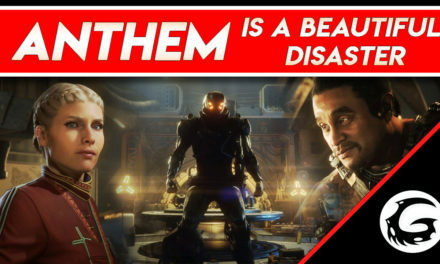 The Banshee Queen joined the Horde to better her followers and seek revenge upon the man that did this. However, Tirion Fordring and the Argent Crusade fulfilled her redemption while in Northrend. Hearing this news, Sylvanas felt her life at peace and wanted to die peacefully. Though a great truth ran through her mind, the Forsaken would not succeed without her guidance and leadership. It was at this point the Banshee Queen became permanently tied to the side of the living in order to serve the Horde and her people. 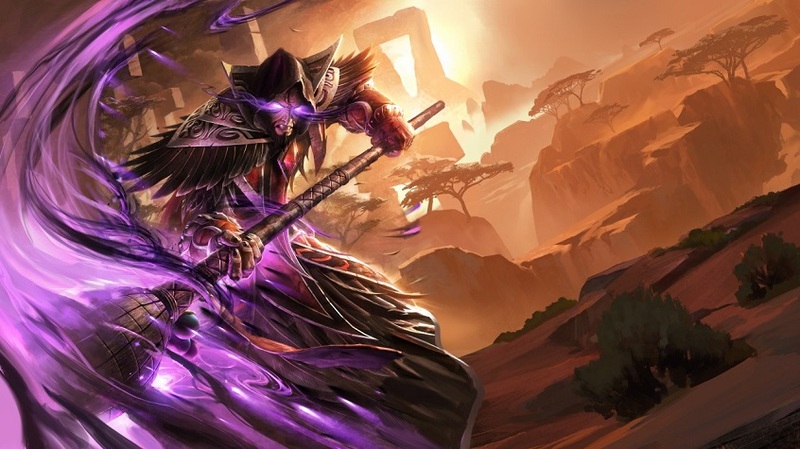 Another denizen on this list that could be described as having a dark path but ultimately is on it for the good of Azeroth is the Prophet Medivh. This Guardian of Azeroth unknowingly spent most of his life as a pawn of the spirit of Sargeras, the leader of the Burning Legion. Under this guise, he murdered his father and then presided to rest in a coma for 20 years. It was then that he was puppeteered to open the Dark Portal and let the Burning Legion invade Azeroth. A terrible deed done by the one that sought to protect the realm, luckily his mind control was ended with his death. Though, death is not the end of his tale; Medivh’s mother rose him from the ashes for the sake of redemption. Calling himself the Prophet, he led the human and orc forces to rally against the threat of Archimonde, Orchestrating each event and ultimately saving Azeroth. He still watches over the realm not letting any know of his existence. 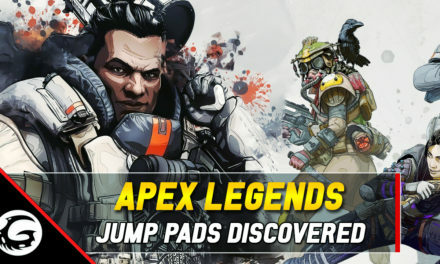 Though not as prominent as the world-bending heroes present on this list, The High General of the Valiance Expedition made the one sacrifice that must be made. Bolvar was thought to be killed in one of the frontal confrontations of the scourge in Northrend. To little knowledge of the Alliance, Bolvar was captured by the scourge and ruthlessly tortured by the Lich King and his pawns for information. Body charred from the red dragonflights of the war, and all hope lost in the eyes of the Lich King, Bolvar did not utter a single word to the Lich King. His resolve was awe-inspiring and lasted until the Argent Crusade party raided the inner halls of Icecrown Citadel, where he was reunited with his fellow companions. Not all was cheerful in the reunion with Tyrion. This Lich King perished, and as rule of the land, “there must always be a Lich King.” Realizing his life had little gain in the future, he accepted the role and imprisoned himself and the soul of the Lich King for the future of Azeroth. 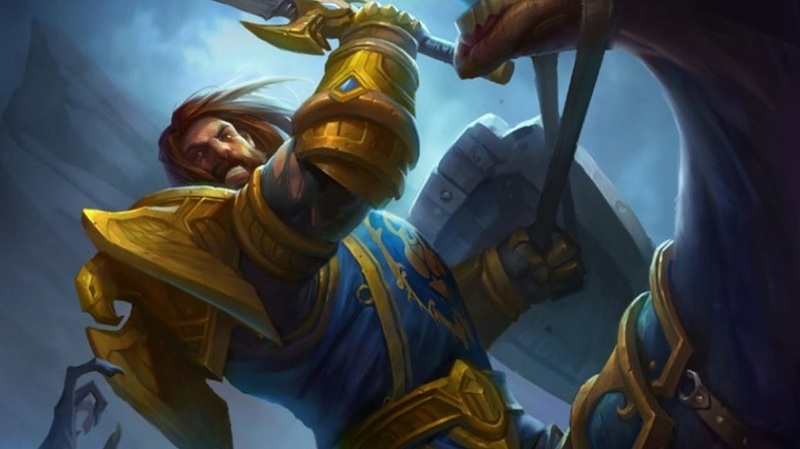 Strange would not begin to describe the unfateful events that befell Varian Wrynn, the King of Stormwind. Starting with the tragic death of his father, which lead to his crowning and marriage, all sounded somewhat liveable until even his wife had become stripped of life. When the Black Dragonflight, Onyxia, threatened Azeroth, she kidnapped Varian and brutally divided the king into two forms, each based on the aspects of his personality, one a war-torn brute and the other a political pawn. 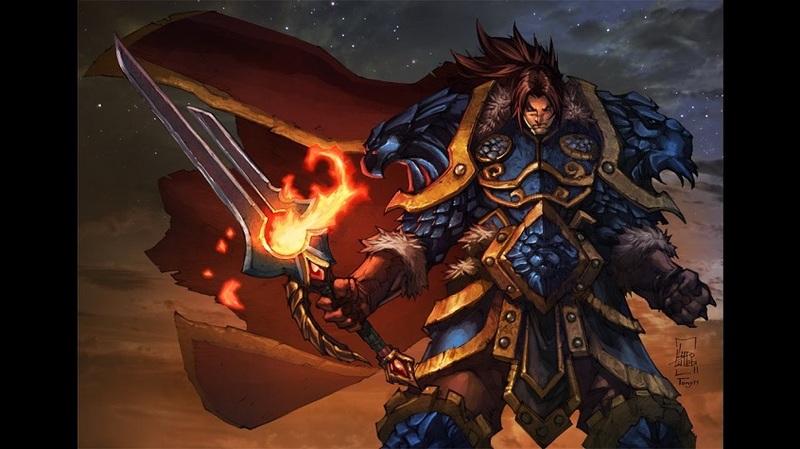 The warrior Varian dawned the name Lo’Gosh through his many wins within the arena. After escaping the confines of gladiatorial combat, he went to slay Onyxia and reclaim his full self again. Ever since that experience, he has deemed that none shall suffer as he had. Sadly, this heroic tale comes to an end as he sacrificed himself at the battlegrounds for the return of the Burning Legion. Letting both the Horde and Alliance escape as he took on the entirety of the Fel army himself. Orphaned as a child by Gul’dan, the orc Thrall was sent down the river to be taken in by whatever came his way. Unfortunately, his name is that of a slave’s since he was forced into gladiatorial combat in his younger years. Upon escaping with the one human who showed him honor and decency, he sought a new quest to find his own kin. These events lead to the freedom of his orc brethren and, with them, he escaped to the fabled continent of Kalimdor and cut his ties to the Burning Legion. He became the first warchief of the united Horde, establishing the faction for all the years to come. When Cataclysm struck, he stepped down from the mantle of warchief and mended the realm itself by joining the Earthen Ring. Thrall now embraces his birth name, Go’el and happily teaches shamanic traditions while living in peace, waiting for the next terror to befall Azeroth. NextHatsune Miku Rhythm Action Game coming to Steam VR!